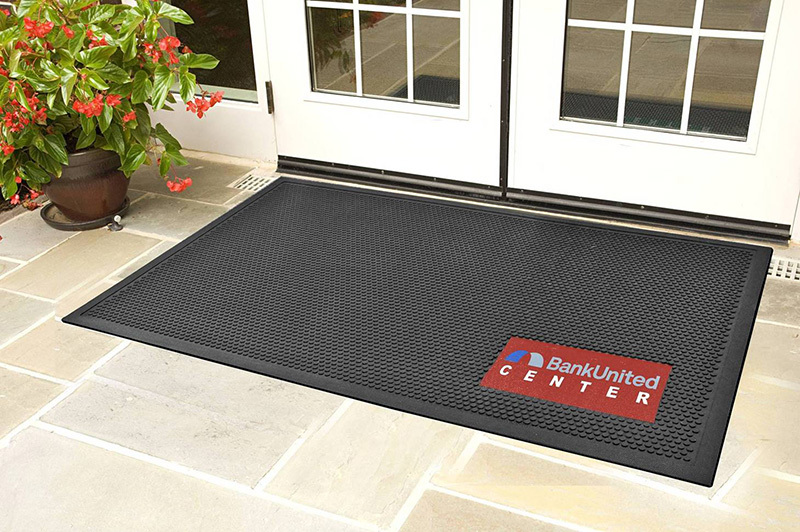 Our SuperScrape Signature Logo Mat is the perfect scraper mat for inside or outside your business entrance.These mats are the same as the SuperScrape Impressions Mat, but with a smaller logo insert size in the bottom right corner of the mat. We have unlimited colors to choose from and can create photo realistic images using a digitally printed thermo-plastic material molded into a durable nitrile rubber mat. This mat is constructed of extremely resilient nitrile rubber and will hold up to all weather conditions. Perfect for use in heavy traffic outdoor entryways! This product ships FREE within the Continental US! Thickness: 3/8" Sizes: 3' x 5' and 4' x 6' Max Logo Design: 7" x 13.5"